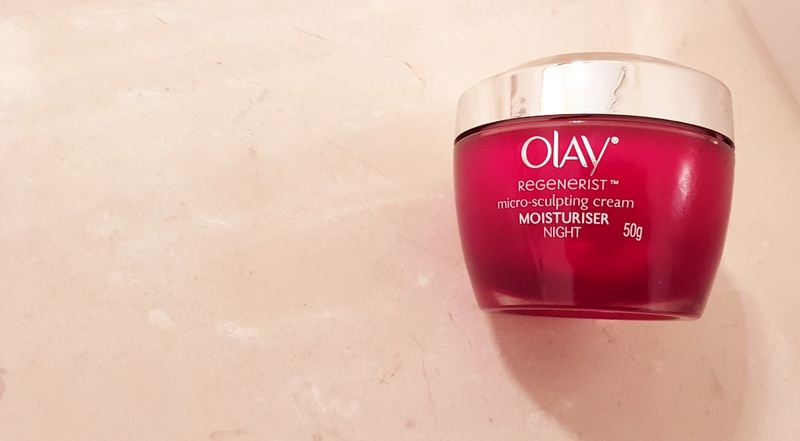 Olay claim that their Regenerist Micro-sculpting Night Moisturiser will nourish skin overnight, leaving it intensely moisturized and younger-looking by reducing the appearance of fine lines and wrinkles. It is said to have a super-hydrating formula with Amino-Peptide Complex that penetrates 10 layers deep to regenerate surface skin cells. A cream with the title “Regenerist” and claims of scientific evidence to support its efficacy needs some serious investigation. Silicon-based ingredients are heavily represented in the formulation, designed to hydrate and smooth the appearance of the skin surface. Present at the highest concentration after water is Cyclopentasiloxane, a synthetic silicone derivative with emollient properties to soothe and soften skin by keeping moisture locked in. It acts to aid spreadability and as a waterproofing agent by creating a protective layer. In do so, it fills in lines and wrinkles, giving a temporary “plump” appearance. Dimethicone is a silicone-based polymer which fills in uneven texture and fine lines, helping to create a smooth and flawless look. 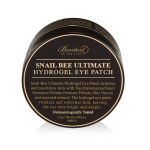 It adds a protective cover over skin, which is supposed to help keep moisture in and lengthen the feeling of hydration. Dimethiconol exhibits similar properties. The Olay Amino-Peptide Complex is a combination of Palmitoyl Pentapeptide-4 (Matrixyl), Vitamin B3 (Niacinamide), Allantoin, Pro-Vitamin B5 (Panthenol), Vitamin E (Tocopheryl acetate) and Green Tea Extract. Let’s consider the properties of each component in this so-called innovative breakthrough complex and see if it’s worth the hype. Palmitoyl Pentapeptide-4, previously called Palmitoyl Pentapeptide-3, also known as Pal-KTTKS and Matrixyl, is a pentapeptide manufactured by the French lab Sederma. Peptides are basically chains of amino acids. Research has shown Matrixyl can have an impact on the visual signs of ageing, including the reduction of fine lines and wrinkles by stimulating collagen production. 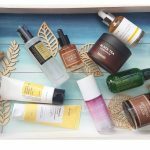 With the release of The Ordinary line from beauty company Deciem, ingredients and their impacts are becoming better known in general circles. Niacinamide, Vitamin B3, is one of those ingredients that has been thrown into the spotlight and for good reason. 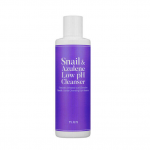 It helps to increase skin hydration, brighten tone and improve texture. This is achieved by strengthening skin fibers. According to the Journal of Cosmetic Dermatology, “topical application of niacinamide improves the surface structure and smoothes out wrinkles”. It also improves skin tone by slowing the transfer of melanin to the epidermis. Allantoin, extracted from the root of the comfrey plant, exhibits healing and moisturising properties. 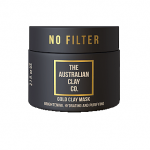 There is no evidence that it contributes anti-ageing capabilities. As a humectant, Panthenol (provitamin B5) stabilizes the skin barrier function, hence reducing water loss. Benefits include an increase in skin hydration, softness and elasticity making panthenol great for those suffering dryness. Meanwhile Tocopheryl Acetate is a natural form of Vitamin E, a skin-conditioning agent and antioxidant. Its substantiated benefits include reducing the formation of free radicals from exposure to UV rays, promoting the healing process, strengthening the skin’s barrier function, protecting the skin barrier’s lipid balance and reducing water loss. 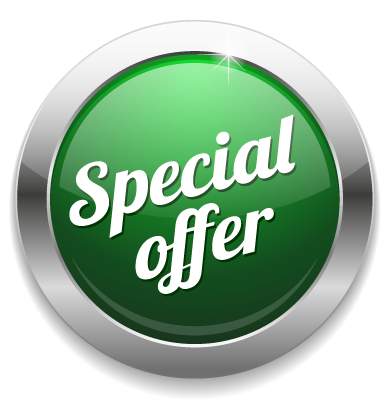 Green Tea Leaf Extract is a powerful antioxidant able to protect against free radical damage. 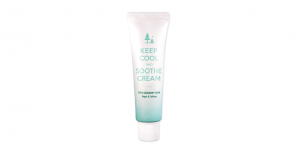 It can also deliver prolonged moisturising effects and improve skin softness. On paper, these six individually impressive ingredients appear to deliver a powerful anti-ageing punch. I’ll anaylise whether the hype of the amino-peptide complex actually performs in practice a little later. An ingredient given plenty of focus by the brand is Sodium PEG-7 Olive Oil Carboxylate, also known as OliveM and Olivem® 400. It is a derivative of olive oil fatty acids (Cetearyl Olivate and Sorbitan Olivate), hence its mildness and close compatibility with skin. 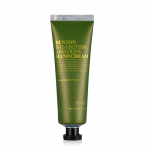 It is a surfactant, helping to break the interface between water and oils/dirt and as such improve ingredient penetration into the skin. Two of the formula’s hydrating agents are Glycerin and Sodium Hyaluronate. Almost every skincare product contains Glycerin, a humectant that draws moisture from the environment deep into the skin. 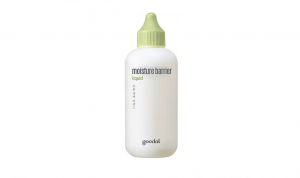 It also displays emollient properties by forming a protective barrier which helps to hold that moisture in. Sodium Hyaluronate is one of the natural moisturizing factors (NMFs) found in the skin. It is the salt (more stable, less likely to oxidize) form of hyaluronic acid, said to hold 1,000 times its weight in water. Sodium hyaluronate has a much lower molecular size which allows it to penetrate the skin better. DMDM Hydantoin is an antimicrobial agent (preservative), effective against fungi, yeast, and bacteria, used to prolong product shelf life. It is a formaldehyde releaser, which means it breaks down to formaldehyde, a known human carcinogen. Formaldehyde releasers can cause skin irritations such as eczema, blisters, reddening, cracking and dryness. As much of the health concerns come from cumulative exposure, the Cosmetic Ingredient Review Panel permits formaldehyde releasers in skin care products at 0.2% or lower, a concentration considered safe. When topically applied, Citric acid can slough off dead skin cells and speed new cell turnover, thus promoting new skin growth that can help to alleviate the appearance of age spots, acne scars, small wrinkles and areas of uneven tone and texture. 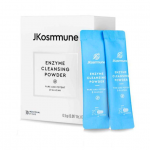 It is basically an Alpha Hydroxy Acid (AHA) responsible for exfoliation. 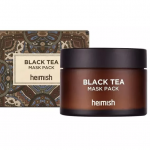 Overall, it’s a mixed bag of ingredients, actives primarily comprising silicone derivatives for smoothing, the famous “amino-peptide complex” for younger looking skin and hydrators for softness and moisture. Note, ingredients shown in red are represented at a concentration of less than 0.2%, in green, less than 0.1%. 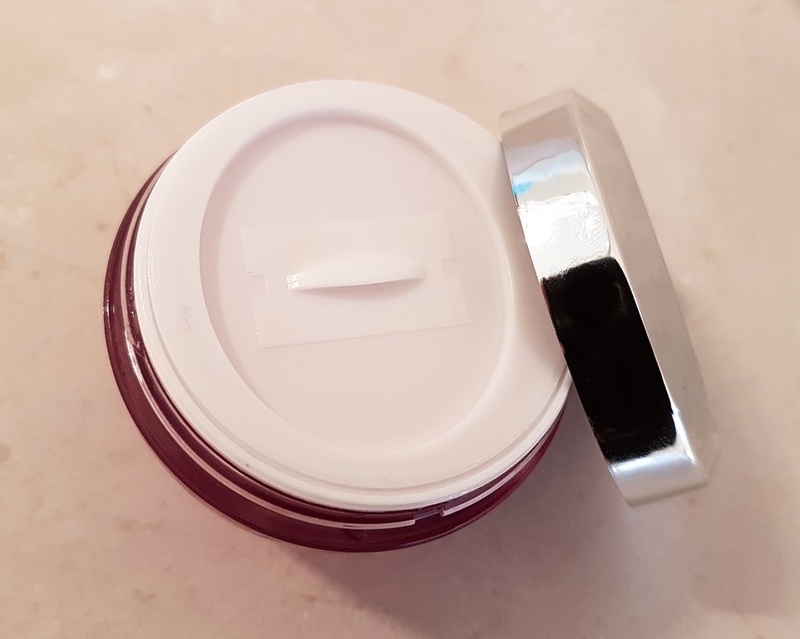 The cream comes in a plastic jar with protective cap and screw top, chrome-looking lid. The inner cap includes a small handle for assisted removal. Entering the ingredients into the CosDNA database results in a near favourable outcome. 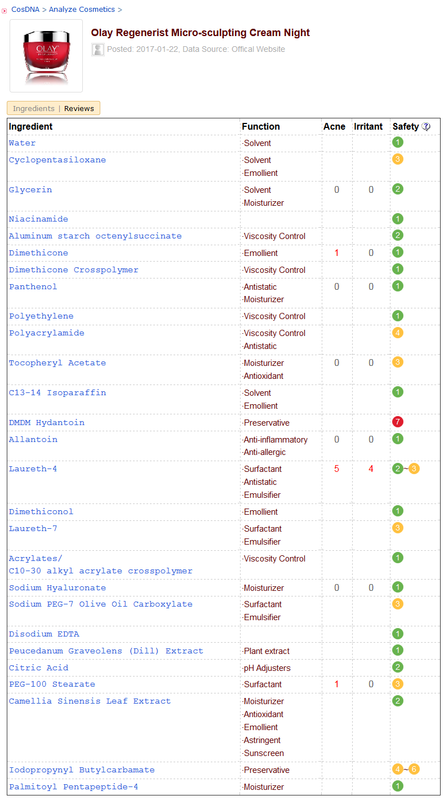 The CosDNA report returns mainly safe ingredients although a red flag is raised against one ingredient, that being DMDM Hydantoin a synthetic preservative known to release formaldehyde. The EWG Cosmetics report, reflects similar results giving it an overall rating of 3/10 and moderate hazard classification. The risks of DMDM Hydantoin are discussed in the science above. Massage a small amount on the face and neck in an upward circular motion, focusing on areas like the brow and jaw line which need more support. Use nightly. I failed to detect a scent with this product. 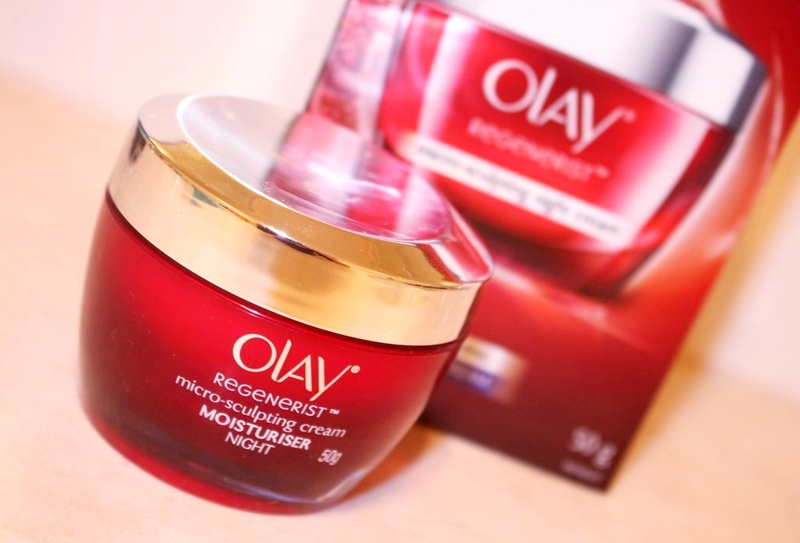 The Olay Regenerist Micro-sculpting Night Cream comes in a 50 gram jar with recommended retail price of AUD$48.99. 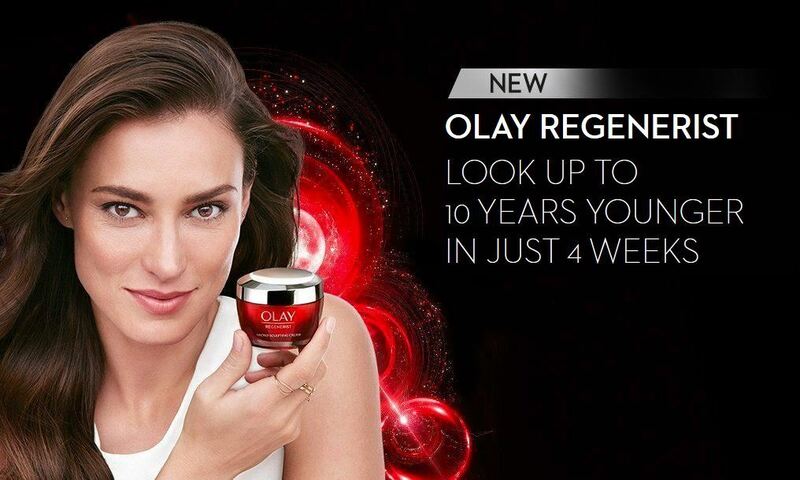 Olay products are currently available from a wide range of chemists, pharmacies, department stores and online. 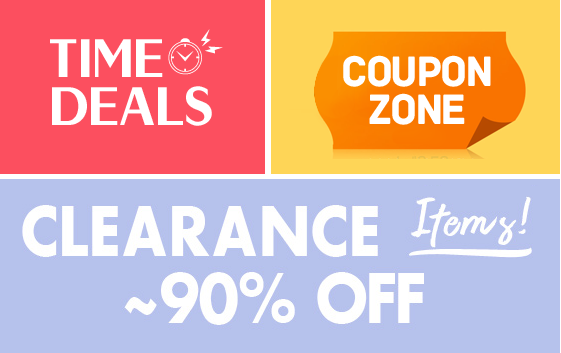 The brand is often on sale at these retailers, discounts frequently ranging from 30%-50%. The manufacturing date is printed on the bottom of the jar and I believe expiry is two years later. 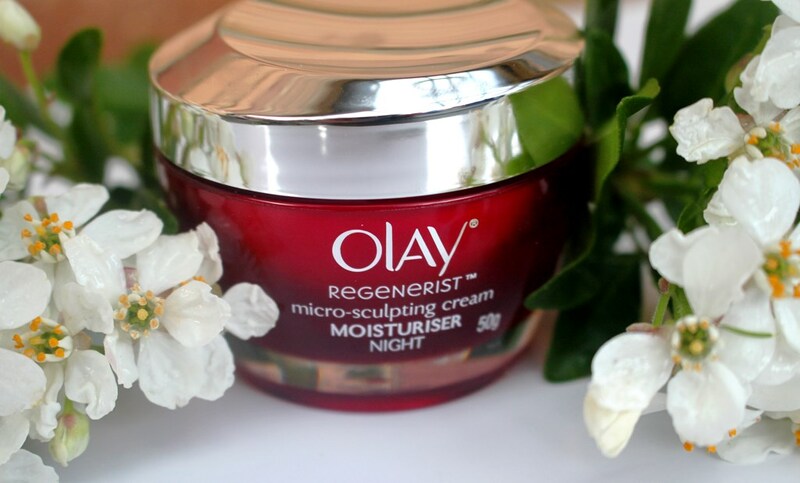 The Regenerist Micro-Sculpting Night Moisturiser comes in a distinctive red jar, the branding a reflection of the entire anti-ageing Regenerist skincare line by Olay. Regarding its presentation, the protective cap over the opening is quite annoying. Unless you have fairly long finger nails, it is impossible to pick it up using the added “handle”. I found myself fumbling with the cap every night as there was some level of suction that kept it from simply sliding off or lifting with a nudge. There are sufficient preservatives added to ensure the product does not degrade due to contamination so the large surface area of the opening is not problematic although not ideal either. A pump action dispenser (as used in their UV day cream) to prevent having to scoop it out with fingers is a far better option. The cream is not a cream at all, it’s a light weight gel. It has a lovely gloss to it and displays a lot of slip so it glides on very easily. You only need a small amount, thus the jar should last around 4 months with nightly use. The Olay website states that this cream is highly absorbent. I can honestly report that more of the gel ended up on my pillow case each night than on my face! It was simply uncomfortable. Even after sleeping for a few hours, both sides of my face rubbing against a pillow, my skin continued to feel extremely tacky. I couldn’t wait to wash it off in the morning. I trialed it on a clean arm to make sure it wasn’t due to preceding products in my routine and observed the same results. Let’s now consider the ingredients within the “highly concentrated Amino-peptide Complex” to determine its efficacy. Iodopropynyl Butylcarbamate, a synthetic preservative appearing directly before Palmitoyl pentapeptide-4 in the ingredient list is permitted at concentrations of up to 0.1%. 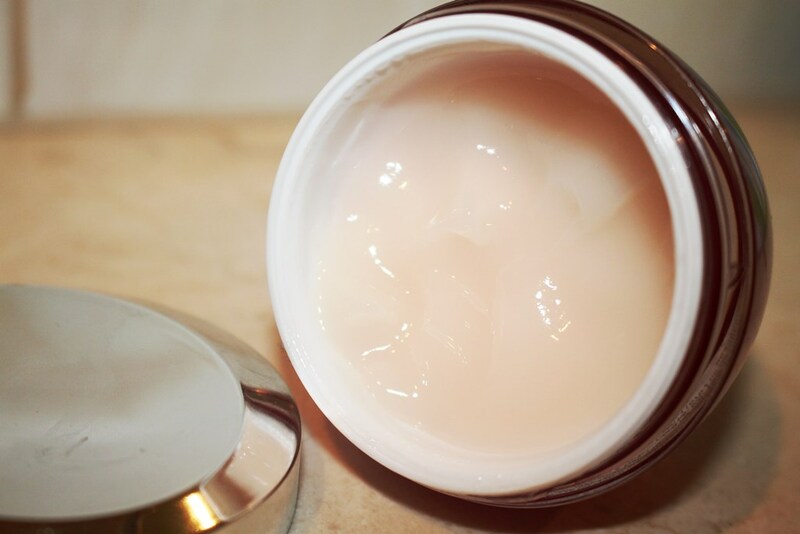 Thus, since ingredients are listed in decreasing order of concentration, the presence of Palmitoyl pentapeptide-4 in the Regenerist Night Cream formulation is lower than 0.1%. Research suggests that for Palmitoyl pentapeptide-4 to be effective, it must be included at a concentration reflective of that at which it was tested. Matrixyl mimics procollagen (the precursor of collagen) and in doing so ‘fools’ the skin into producing more collagen, which results in wrinkle reduction. It has been tested in many studies using concentrations between 2% and 8%, with 8% being the most effective. Furthermore, Sederma, its creator, recommends the ingredient be used in concentrations ranging from 3% to 5% to work properly. Present at a concentration of less than 0.1%, this renders one of the key components of the amino-peptide complex completely useless. Niacinamide (Vitamin B) is listed fourth on the ingredient list, indicating that there is likely a fair concentration of this in the product. 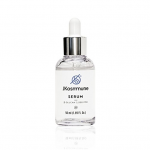 This assumed, it provides an effective concentration and as such confirms it as an advanced anti-ageing active. So in summary, the “highly concentrated Amino-peptide Complex” probably only offers moisturising and softening effects. 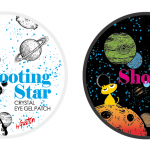 Little benefit can be detected as far as anti-ageing parts of the claim are concerned since the concentrations of the ingredients responsible for these properties are too low to be effective. 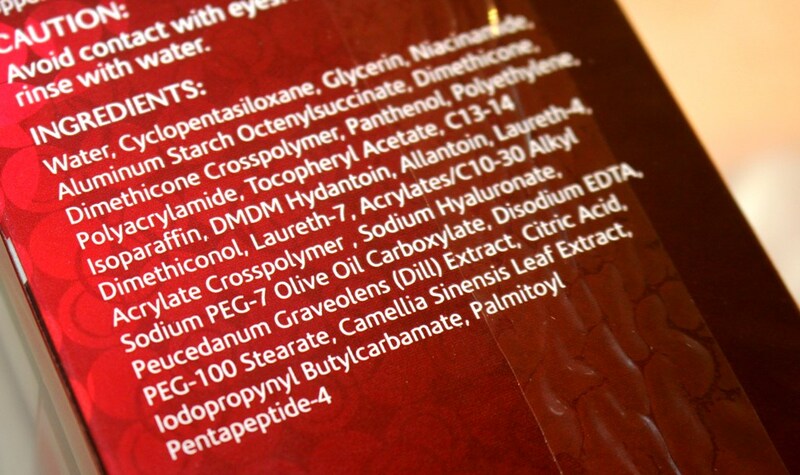 According to the Chemical manufacturing company responsible for its creation, Hallstar, “The recommended usage levels for OliveM are 8-18% as the primary surfactant and 1-8% as a secondary surfactant.” We know DMDM Hydantoin must not exceed 0.2% and this is placed at position 13 in the ingredient list. Located at position 20, the concentration of OliveM is therefore less than 0.2%, clearly insufficient to be effective. Finally, silicone derivatives (Cyclopentasiloxane, Dimethicone and Dimethiconol) are included to give the illusion of wrinkle reduction. These are not permanent rather fleeting perceived improvements in skin texture. A range called Regenerist implies skin regeneration, not a cover up. It’s disappointing that ingredients are added to fool us into believing lines and wrinkles have lessened instead of delivering dedicated actives at effective quantities. However, referring back to the Olay claim, the product is supposed to make you younger-looking by reducing the appearance of fine lines and wrinkles which does not necessarily mean actual skin changes. I am not convinced that there are sufficient actives in this formula at appropriate concentrations to actually make any impact on lines and wrinkles. 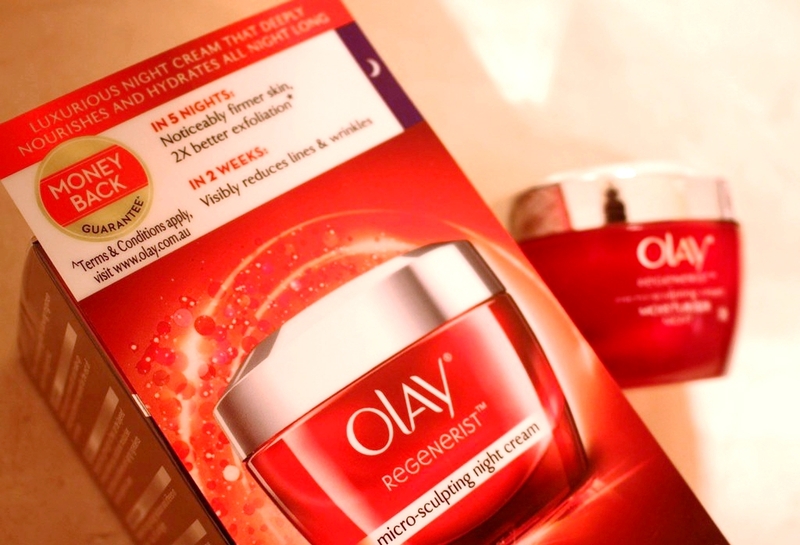 Having reviewed the ingredients against the product claims in great detail, it seems permanent improvements are not necessarily Olay’s intention. 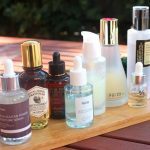 In the U.S., approximately 20% of cosmetics and personal care products contain a formaldehyde-releaser and the frequency of contact allergy to these ingredients is much higher among Americans compared to studies in Europe. With so much skin care (from both Olay and other brands) containing “safe” levels of formaldehyde releasing preservatives, just how much exposure are we collectively receiving? I was far from impressed with this offering from Olay. I used over 3/4 of the jar so I definitely gave this cream a chance to impress me. Unfortunately, I really disliked it. The only positive is that it offered some level of moisturisation but any basic moisturiser will do this at a fraction of the cost, less the tacky discomfort. I hate to sound so negative, but there is nothing about it I actually enjoyed. The packaging is clumsy and unhygienic, the product leaves an awful sticky residue, the ingredients are questionable and the results… well there are no results to report. Furthermore, I don’t like that Olay have focused more on line fillers and temporary plumping agents (to give the impression of fine line and wrinkle reduction) instead of incorporating actual anti-ageing actives at effective concentrations. According to the dictionary, to regenerate is to restore to a favorable state or physical condition. When it comes to skin, restoration implies improvements in tone, firmness and overall health. As such, it is a fair expectation that a Regenerist product should regenerate not mask. 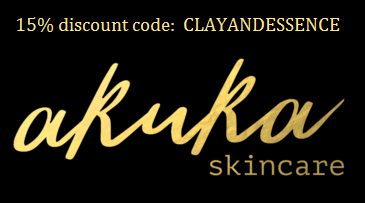 Carefully chosen words in the product claim and a skincare line with a name implying skin regeneration are simply misleading.